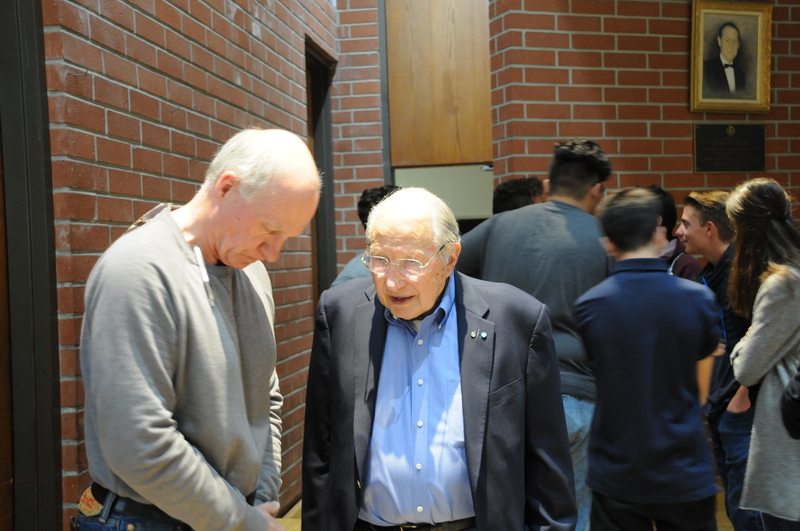 75th anniversary symposium was a success! 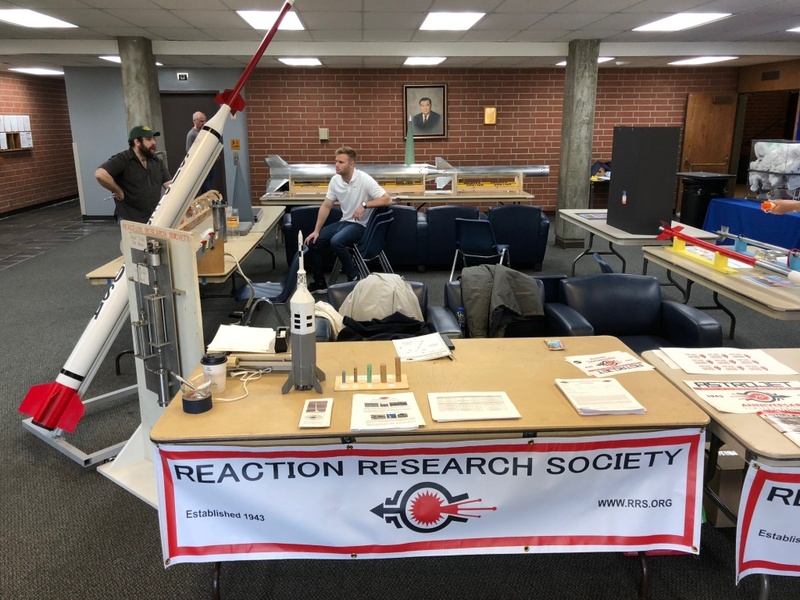 The Reaction Research Society (RRS.ORG) was happy to celebrate its 75th anniversary as the country’s oldest continuously operating amateur rocketry society on April 21, 2018. 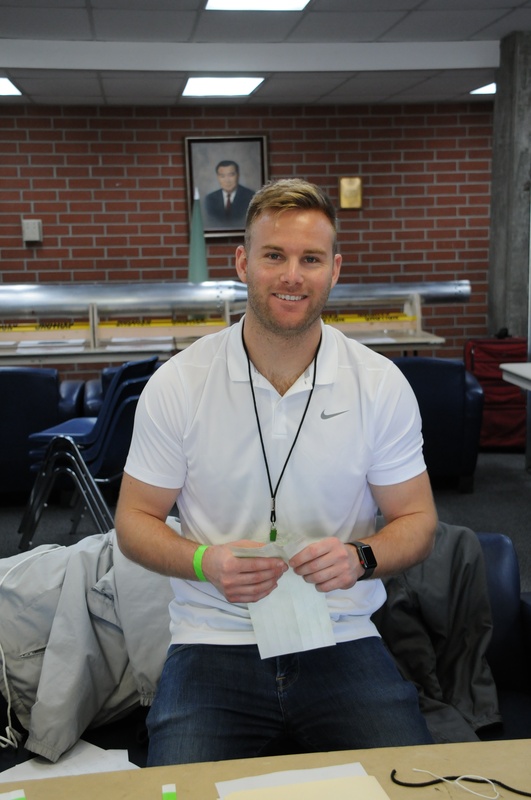 At the Ken Nakaoka Community Center in Gardena, California, we shared this special occasion with over 300 people from the Los Angeles and San Diego area and welcomed several guests from places further away. The RRS had a display of some of our society projects past and present. 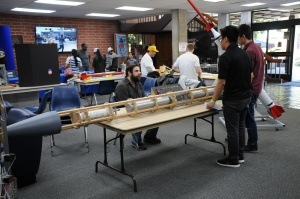 Also, some of our members had their projects on display including Richard Garcia’s liquid rocket and Bill Claybaugh’s massive two-stage rocket. 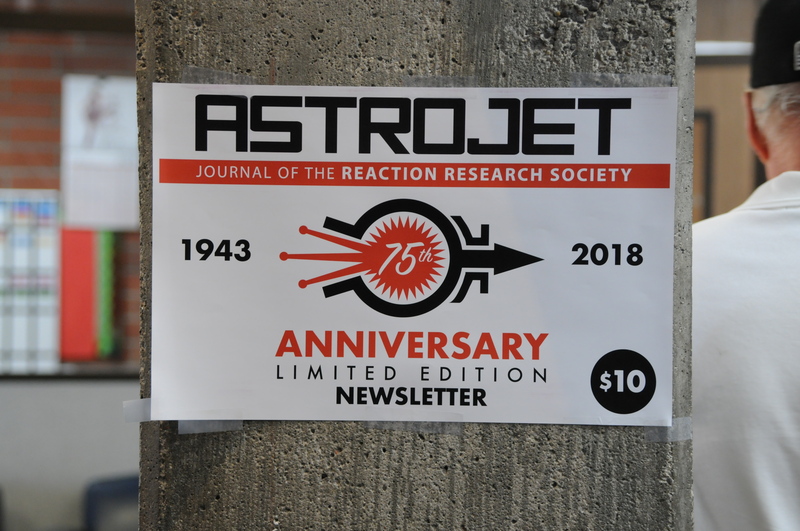 We had copies of the special 75th anniversary edition of the RRS Astrojet newsletter available for sale at the symposium. 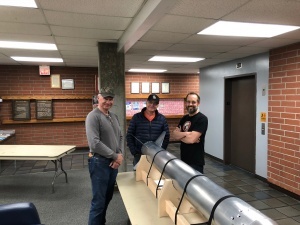 Thank you to Bill Janczewski for his hard work in making this high quality newsletter and the bright sign on the column for everyone to see as they came in. 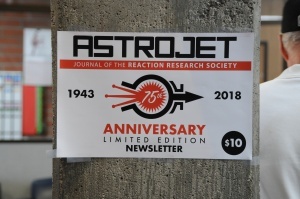 The Astrojet can still be purchased through our RRS.ORG website at our PayPal button if you write a note for “Astrojet, (X) copies” and send your mailing address. 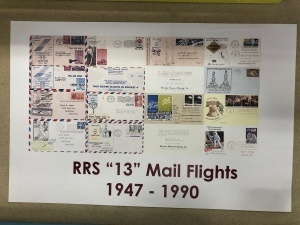 Or just simply contact the RRS by email. 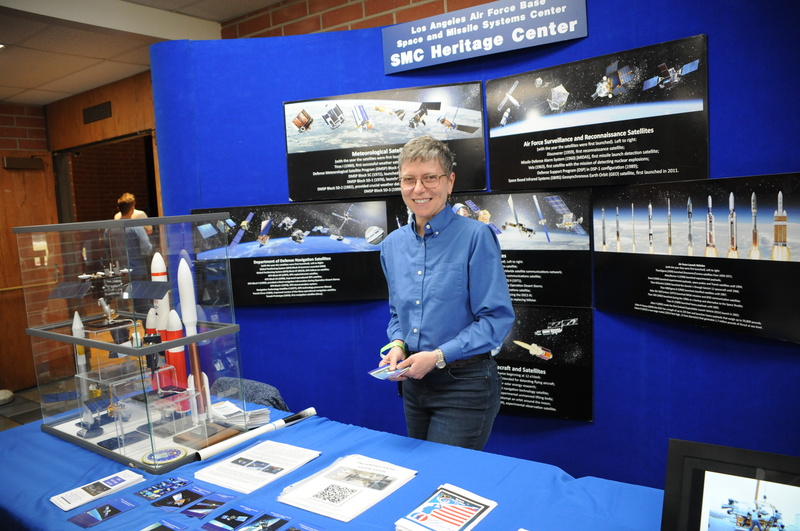 We shared our exhibition space with the Los Angeles Air Force Base’s (LA AFB) Space and Missile Command (SMC) as they presented the long history of SMC. Our thanks to Lt. Col. Porter and his team for having a huge display of the Air Force’s contributions to space, national security and improvements to our daily lives. Also, the air-driven rocket launcher demonstration in the courtyard was a big hit. 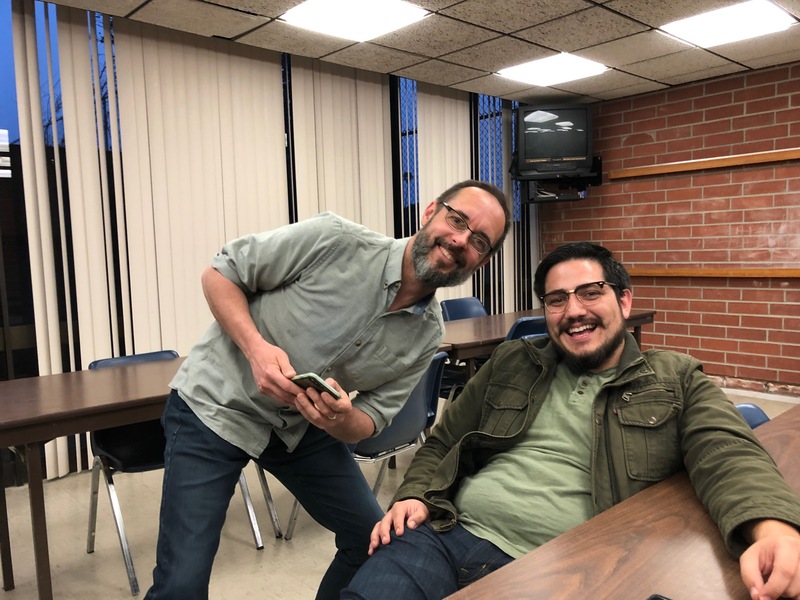 Also, just outside the Ken Nakaoka Community Center in Gardena, was our colleagues at the Los Angeles Police Department (LAPD) Community Safety Partnership (CSP). 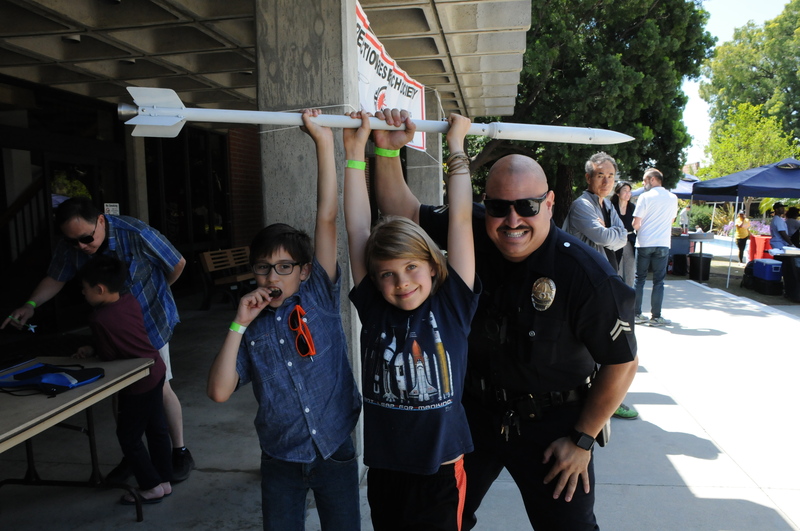 Officers who have supported and participated in the rocket build classes we’ve had with Watts and Compton area schools were on hand to answer questions and show off the fun we’ve had over this last year. 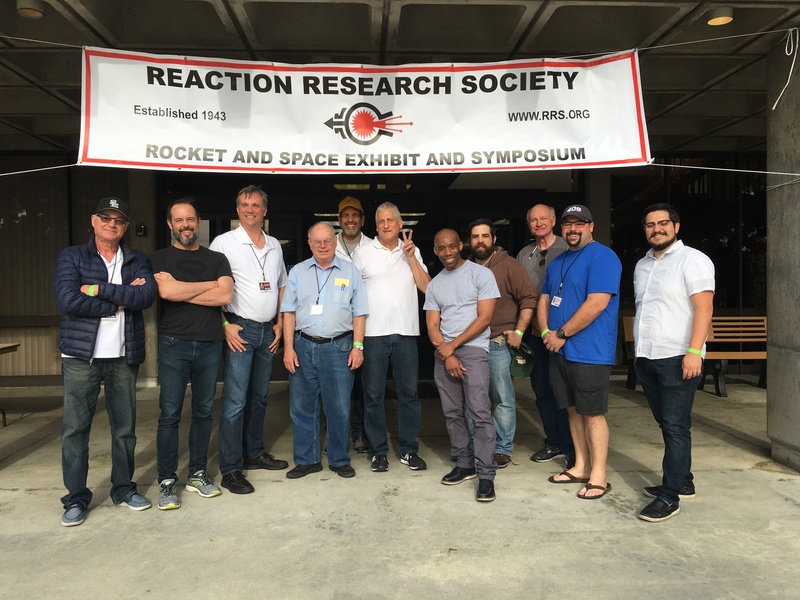 We had several universities exhibiting and presenting at the RRS symposium including University of California Los Angeles (UCLA), University of Southern California (USC) and California State University Long Beach (CSULB). 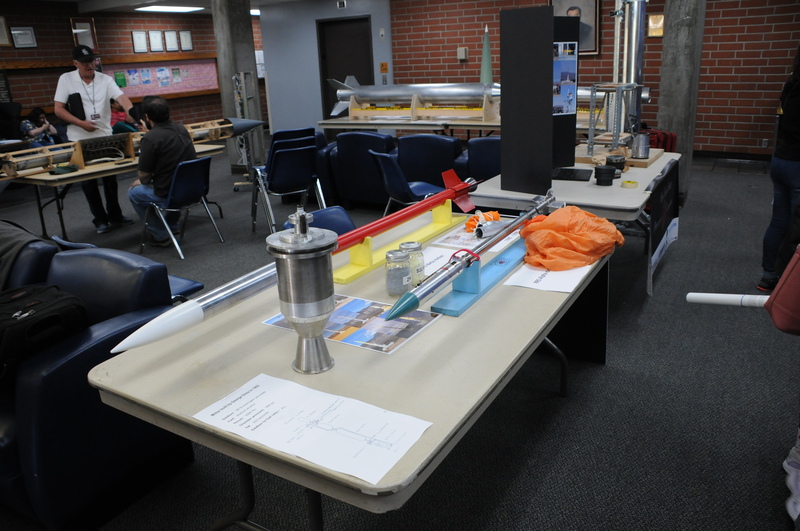 All of them had impressive work to show with flights pending in just a few weeks before the semester or quarter ends. 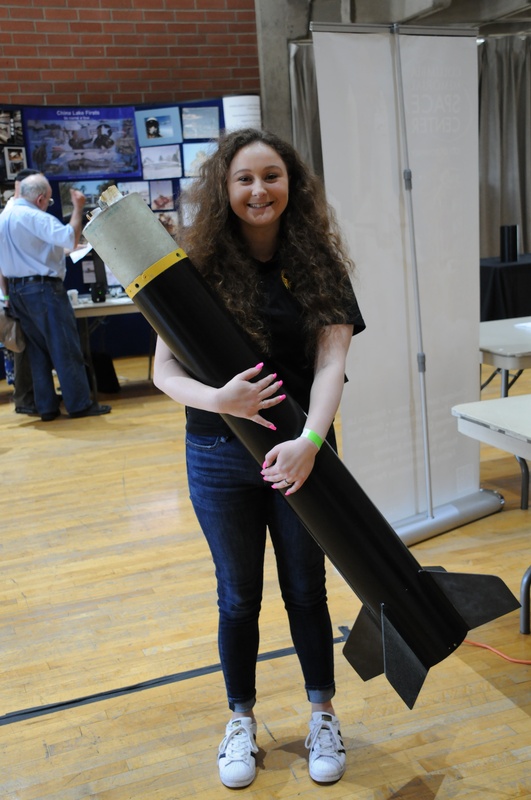 The Additive Rocket Corporation of San Diego exhibited and presented their unique technology. 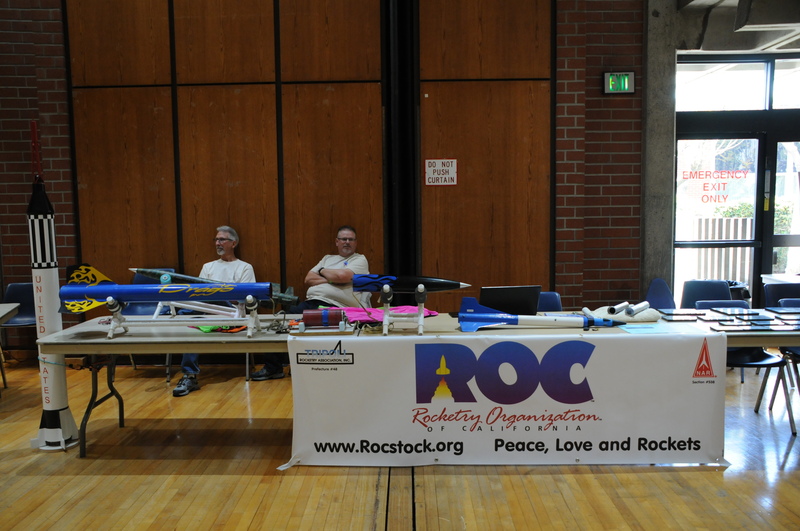 Other exhibitors at the RRS symposium was our fellow amateur rocketry group, Rocketry Organization of California (ROC). The Notre Dame Academy was also present at our symposium. Our friends at the China Lake Museum also had a display to show the Navy’s contributions to rocketry and the national defense. U.S. Rockets was also exhibiting at the RRS symposium. We had several speakers presenting on current and historical topics of professional and amateur rocketry including Jacky Calvignac of Northrop Grumman, our founder George James of his organization, The Rocket Research Institute (RRI), John Steinmeyer of Orbital-ATK and David Krause of NASA Goddard Spaceflight Center’s Wallops Island Flight Facility in Virginia who called in by Skype. 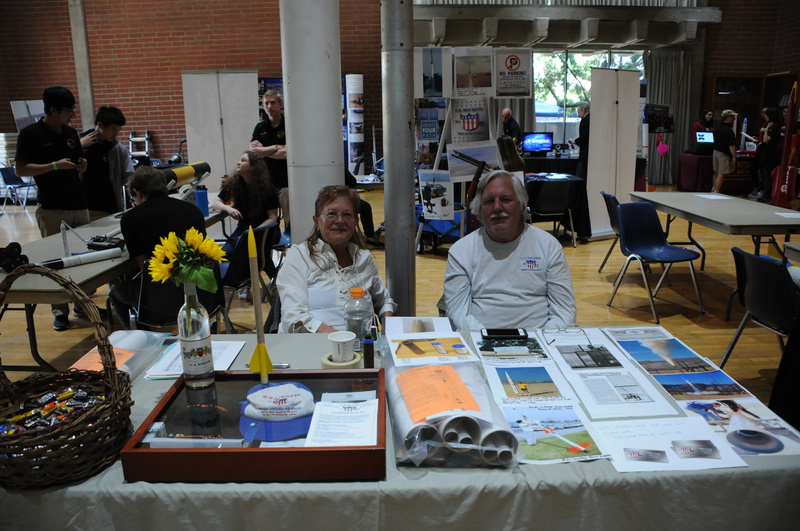 We thank all of our attendees, presenters, exhibitors and just everyone who stopped in and had a good time with us. The RRS would like to especially thank Tony Richards for his photography taken at the RRS symposium. The RRS will discuss at our next monthly meeting on May 11th if we’ll have another symposium next year in 2019. Based on the overwhelming response, this is very likely. 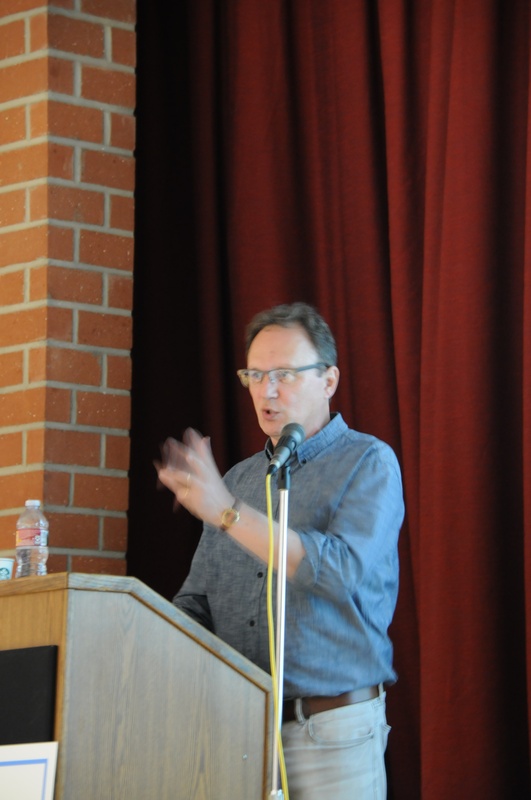 The RRS held its monthly meeting on April 13, 2018 at the Ken Nakaoka Community Center in Gardena. We had a full agenda with the most important item being the 75th anniversary RRS symposium that is coming in only 8 days. We had a prompt start at 7:30pm with Osvaldo calling the meeting to order and giving the reading of the treasury report. We had a full attendance including our new RRS members, Jack, Dylan, Connor, Cooper and Byron from the former Chaminade High School rocketry club. 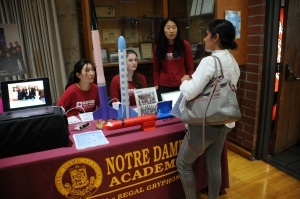 They have been very busy with their solid rocket project. 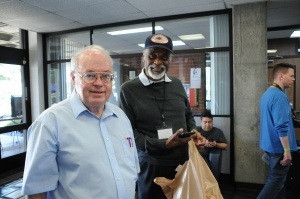 We didn’t have time to add their progress to our agenda, but we hope they’ll give an update at the May meeting. 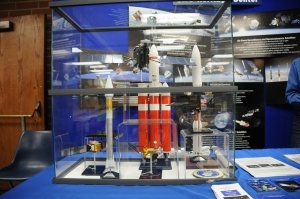 The first agenda item discussed the work done by the Aerospace Corporation of El Segundo, California, on March 26th and 27th at the RRS MTA site. 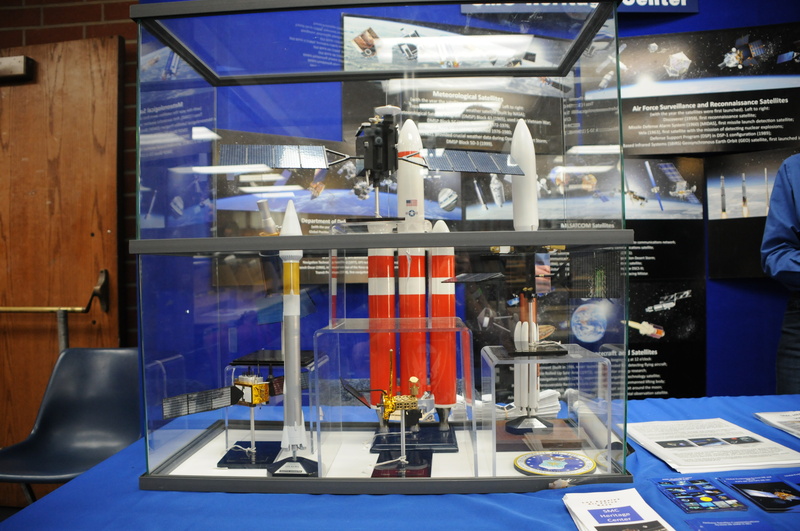 RRS member and Aerospace Corporation employee, Drew Cortopassi gave an excellent summary of the work. Aerospace Corporation’s experimental work was a success and we hope that Aerospace may return to use our site to advance their designs. 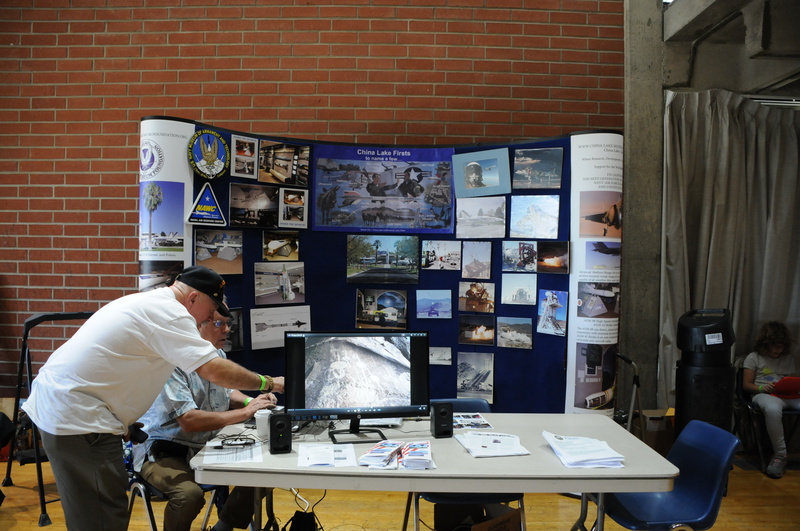 Aerospace Corporation is one of our exhibitors and presenters at the meeting. 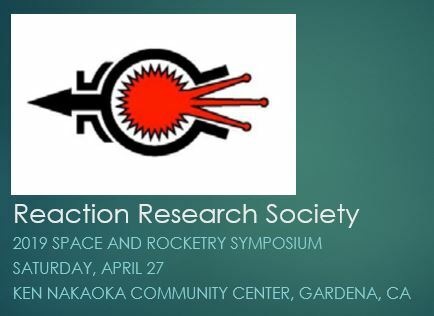 A fuller discussion of their rocket testing at the RRS MTA will be given at the RRS’s 75th anniversary symposium, next Saturday, April 21st. Aerospace Corporation tests an experimental solid motor design at the RRS MTA, 3/26/2018. 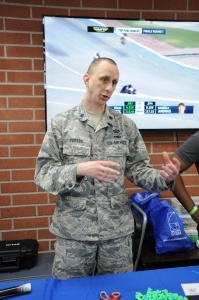 The next agenda topic was discussing the results from the launch event held last weekend with Florence Joyner Elementary School with the LAPD CSP program. Frank gave an excellent summary and Osvaldo discussed a theory explaining the odd bending of each alpha rocket found at the event. Most alpha rockets come down nearly vertically and burying themselves straight into the hard dry lake bed. 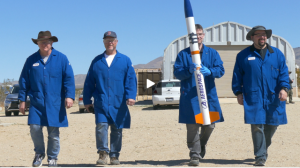 At the launch event of April 7th, nearly all of the rocket propellant tubes were bent. Typically, this only happens if the rocket strikes a rock beneath the surface, but it is quite uncommon. Osvaldo’s invention of the Rockextractor proved to be a swift tool for reclaiming found alpha rockets. 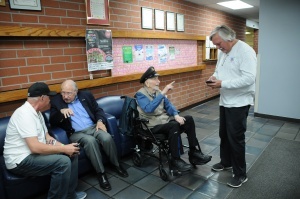 As a side note, Frank had mentioned that the USC short film “Rockets in the Projects” covering the November launch event with Grape Street Elementary class and the LAPD CSP program will be screened with other short films at Annenberg Hall on the campus of USC on Wednesday, April 18th. Seating is very limited so those interested in seeing the film should act quickly. The third agenda topic was about the RRS expanding its roster of licensed pyrotechnic operators (pyro-op’s). We have great support from our current pyro-op’s but the society would benefit from having more. 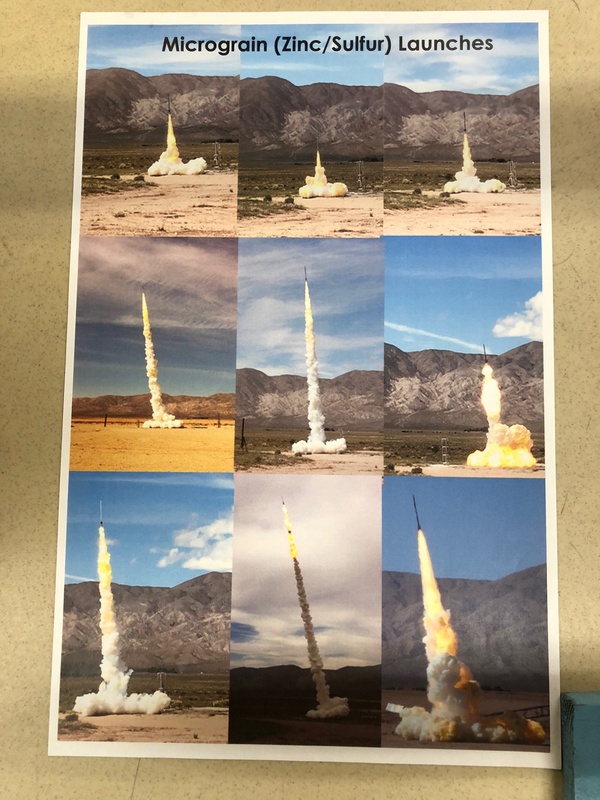 The RRS will be building a training manual that includes the materials mandated by the California Fire Marshal’s office to attain a license in rocketry. This tool will be an effective study tool for members looking to become licensed pyro-ops. At the very least, the training helps spread safe practices in the society. Given the limited time we had at this month’s meeting, we agreed to discuss this topic further at the next month’s meeting in May. 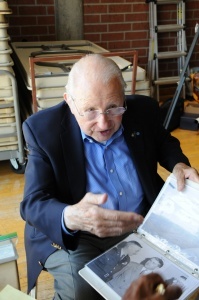 The fourth agenda topic was something that Larry Hoffing discovered. 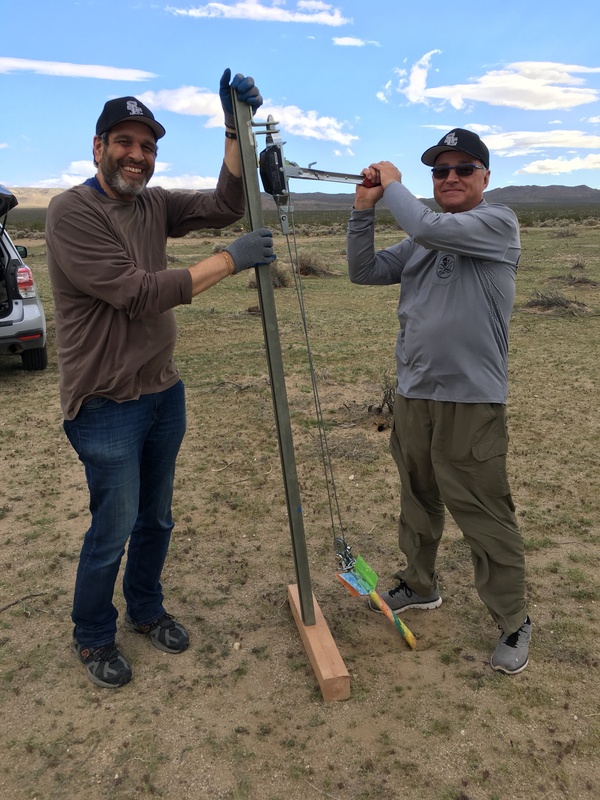 The 2-bit Circus Foundation is a non-profit educational organization dedicated to the next generation of inventors to advance environmental stewardship and spur community engagement. 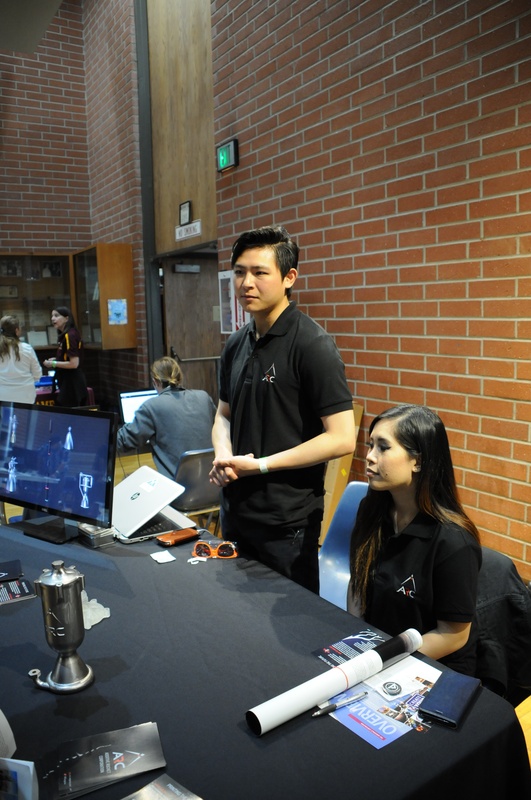 The 2-bit circus has a futuristic arcade in downtown Los Angeles and has reached out to the RRS to be an exhibitor at their next event in Hawthorne, California. The RRS was supportive of this idea and once more details become available we will find a few members to attend the exhibition to help us reach more people at this event for STEAM (Science, Technology, Engineering, Art and Mathematics) education which our shared passion. 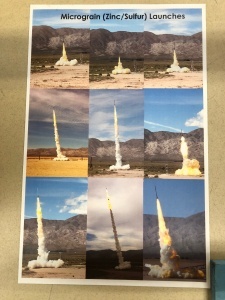 The fifth agenda topic briefly discussed an idea that I have developed a second-stage design that fits with the RRS standard alpha payload tube. 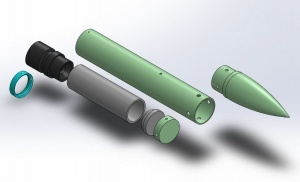 With a short segment of 1-1/4″ PVC tubing turned down to fit inside the 1.75″ OD payload tube and machined PVC end cap, a second stage motor with a graphite nozzle can be fired atop of the micrograin booster. 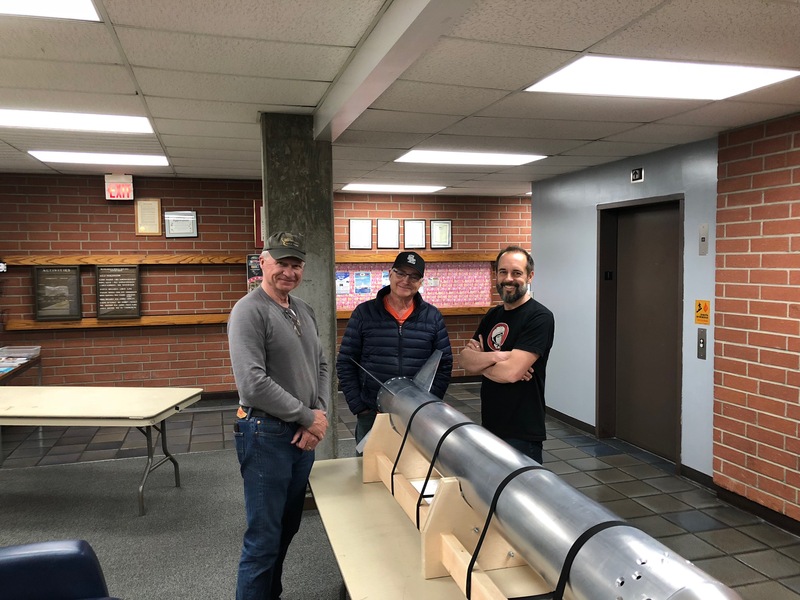 A short length of Type-1 PVC round stock was donated to the RRS by Industrial Plastic Supply Inc. of Anaheim, California. There are many plastic suppliers, but not many that offer such a range of plastics in small quantities better suited for experimenters and hobbyists with modest personal budgets. I happily recommend them to all. An interstage piece is necessary to trigger the second stage after a set time delay. 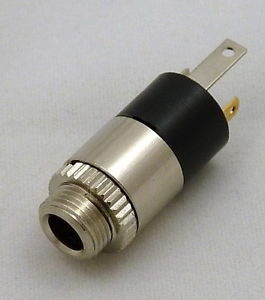 I have designed an umbilical connector piece that uses a 3.5mm audio plug and panel-mount jack as a switch. 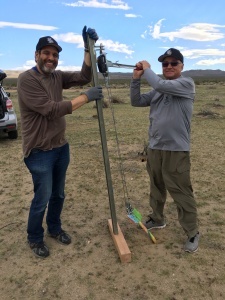 To internally mount the switch at a shallow angle for easy extraction of the plug as the alpha rocket lifts away from the launch rack required a unique plastic piece that Richard Garcia was able to 3D print for me in plastic. The fit check was a success so now I have to get the connector wired and mounted. The solid motor grain itself was thought to be simple rocket candy, but other solid propellant types could be tried. Chris Lujan offered to pour a second stage grain for my design. 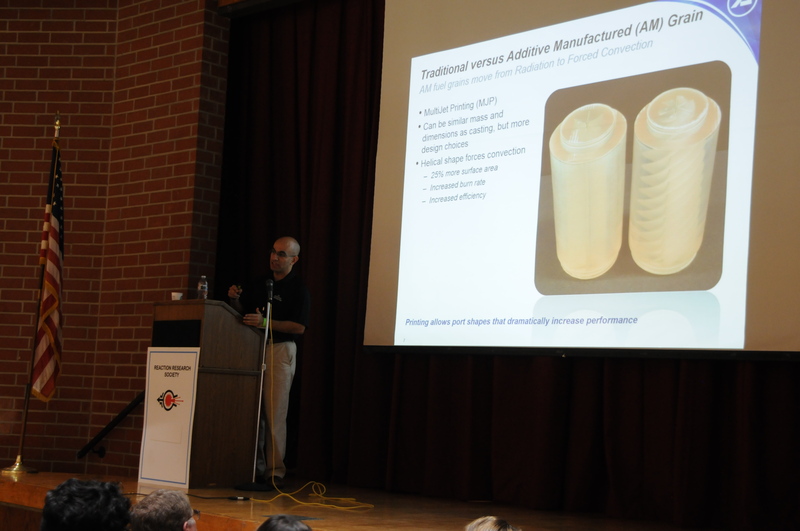 Richard Garcia also offered to make his next motor grain to fit in this standard payload tube size. I have designed most pieces, but some aspects of this design need more work and testing. 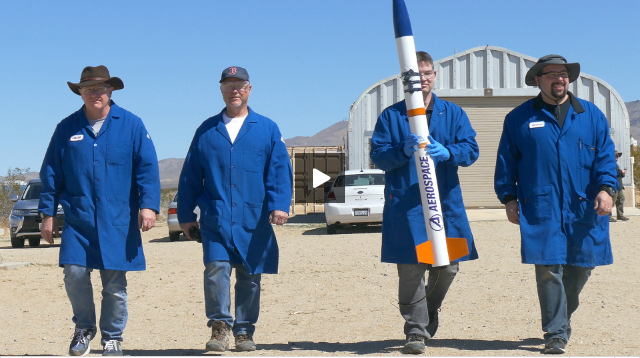 The RRS would like to encourage our members and our partner organizations to design and fly payloads with our standard alpha rockets which are easy to produce. Time was short so this topic was also tabled for the next month’s meeting as this work evolves. The sixth agenda topic similarly had no real time to get into the details. The quarterly progress report of the SuperDosa project had only the RRS ballistic evaluation motor (BEM) to discuss. This workhorse tool will help the RRS accurately determine burn rate with variable nozzle puck sizes. Richard Garcia did turn out a basic set of graphite puck nozzles for the BEM. 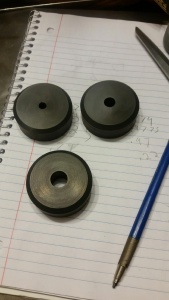 The cylinder piece is with Osvaldo once he can find time to machine the bore and pressure ports. 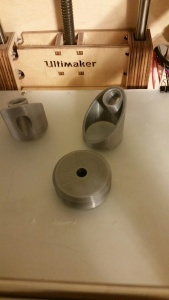 The top and bottom plates will be made soon by CNC Specialty Machining of Huntington Beach. 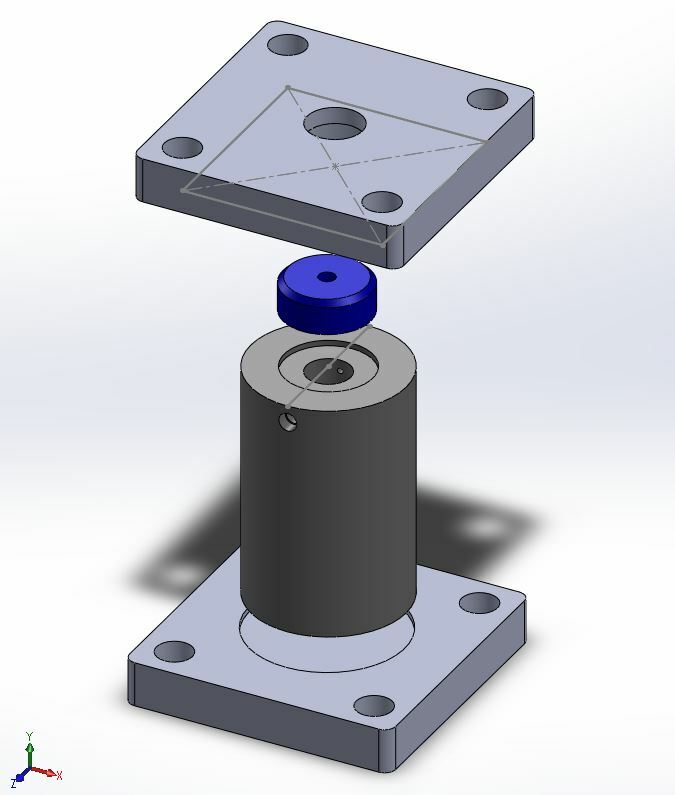 This is the same machine shop that did a quality job with milling the S-type load cell adapter blocks for the RRS horizontal thrust stand. 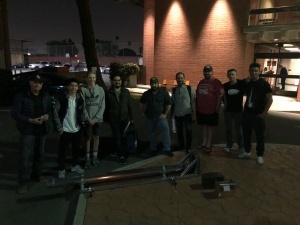 Thanks to Matt Moffitt of CNC Specialty Machining which is soon to relocate their business in Huntington Beach next month. 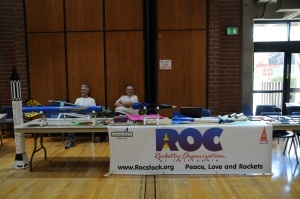 The last agenda topic was the last preparations necessary for the RRS symposium coming next Saturday, April 21st. This event will easily be larger than last year’s event with over 400 Eventbrite reservations made just before the meeting. 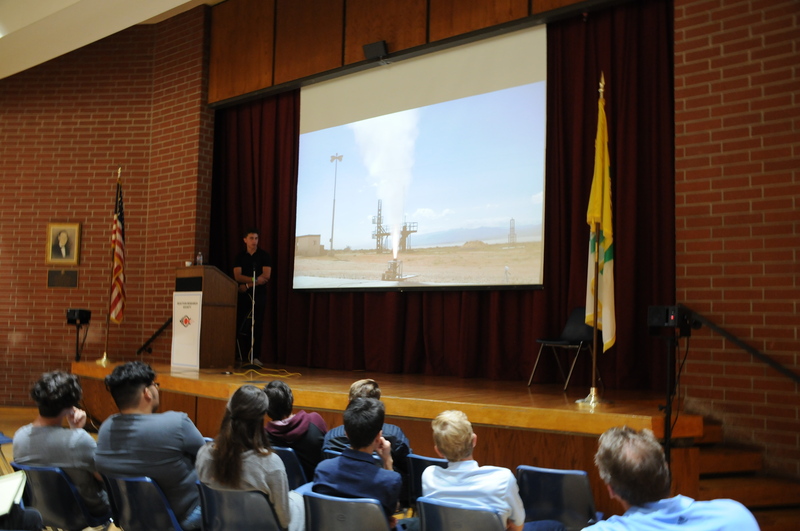 We have a longer list of speakers including new participants such as NASA Goddard Spaceflight Center’s (GSFC) Wallops Island Flight Facility (WFF) in Virginia. We will need all of our members to help us support this event. Please spread the word! There will be a lot of work in setting up the night before. 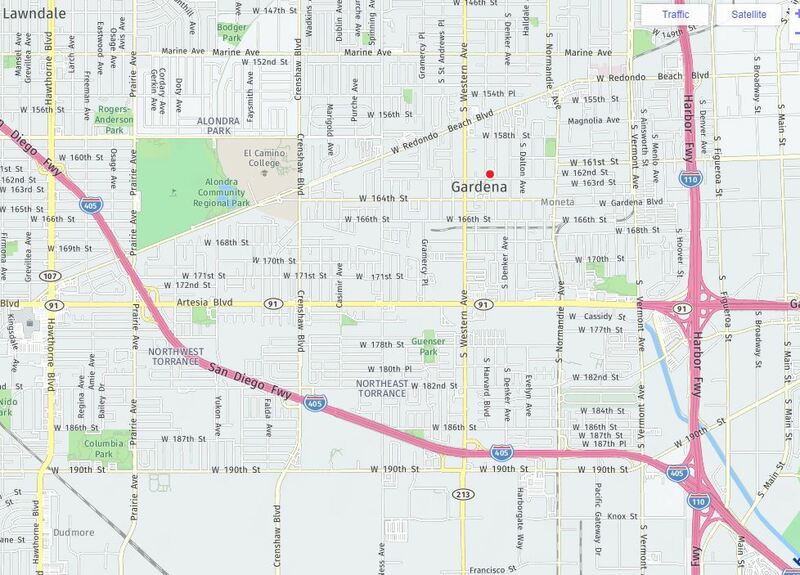 Members are encouraged to come help set things up at 7PM on the Friday night beforehand, April 20th. 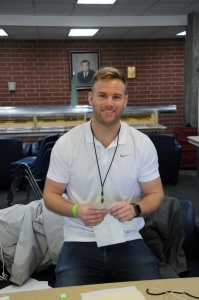 Contact Frank Miuccio who is our symposium coordinator if you would like to help. 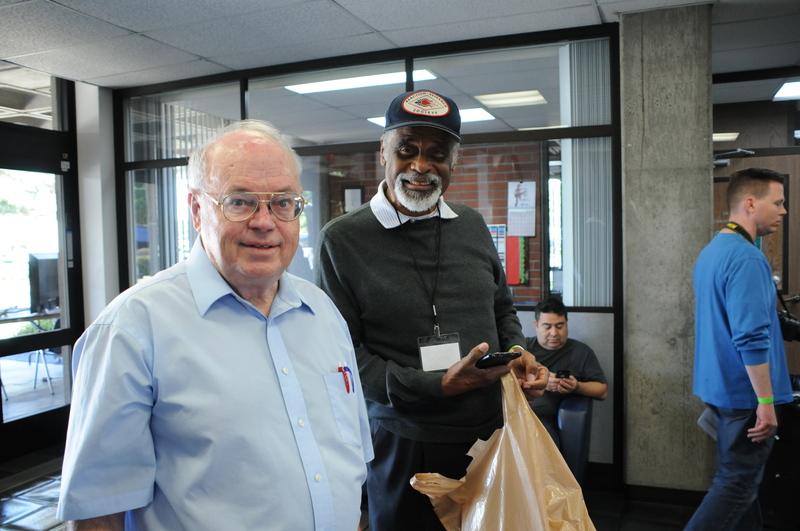 The RRS meeting went out to the exhibition hall of the Ken Nakaoka Community Center in Gardena. 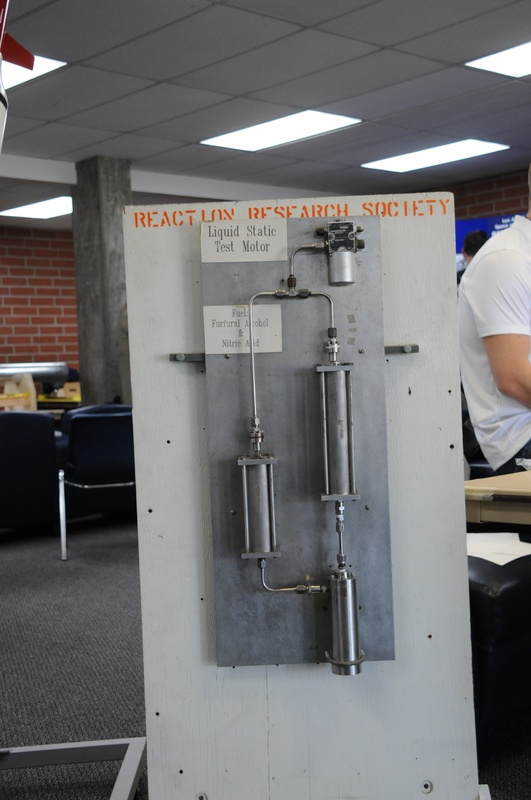 The RRS will have the whole center for our public event and we hope everyone can come. Frank will send me the final agenda with the speaker list and the presentation times. This is an all-day event, but consult the RRS.ORG website for updated information. 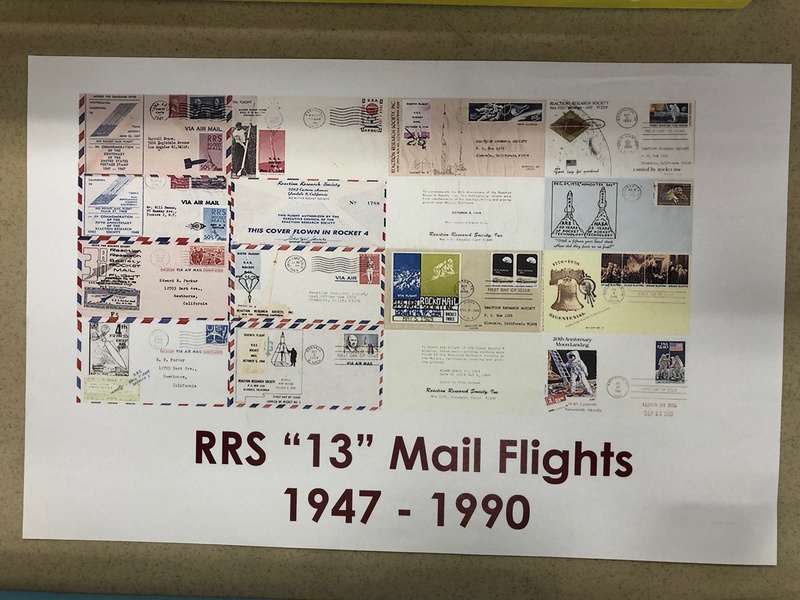 I plan to make a posting for the RRS symposium soon. The meeting adjourned as the Ken Nakaoka Community Center closed. 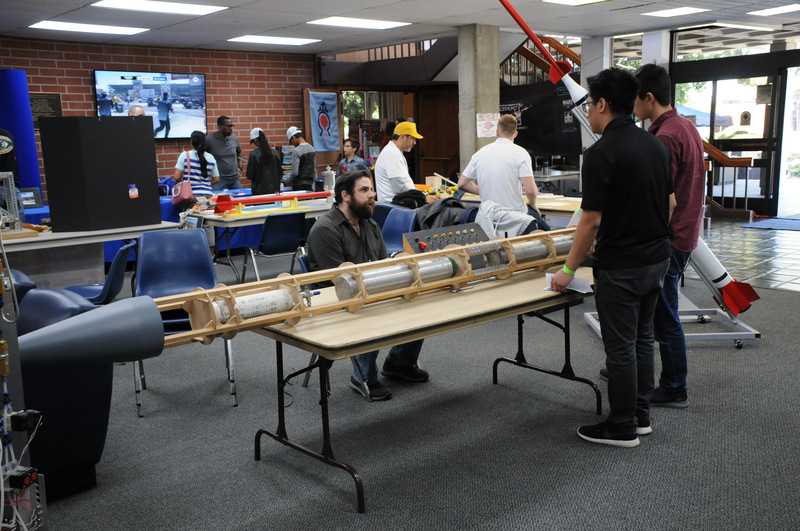 Osvaldo did some work for our new members with a clamping assembly to hold their rocket casing in their own horizontal thrust stand to test their full-sized boosted dart motor. 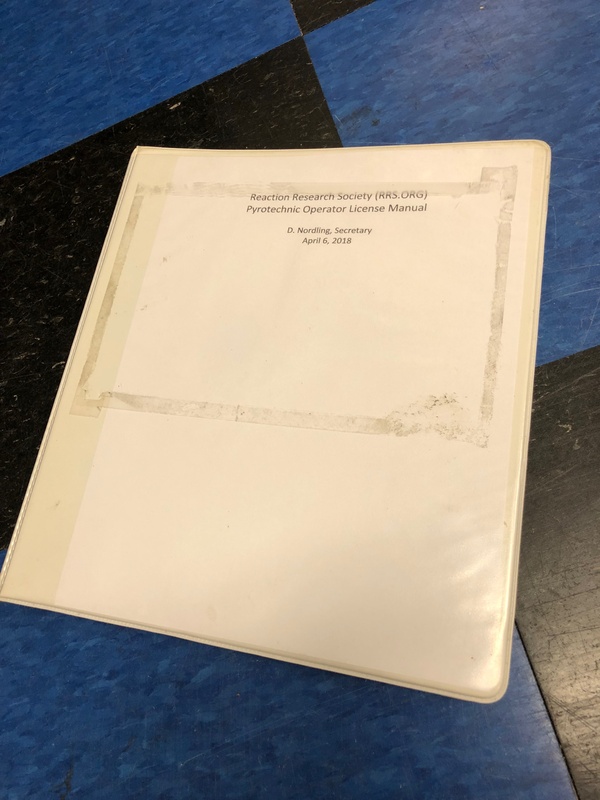 Although independently conceived, this work nicely fits with the SuperDosa project and the RRS is glad to have another project to help advance the work of the society and our members. 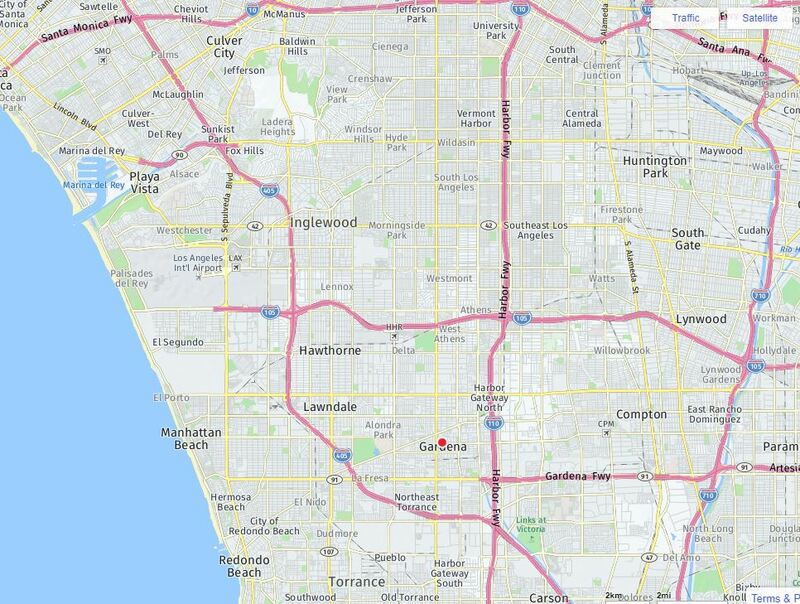 Our next meeting will be Friday, May 11, 2018. Please come as we will have much to discuss after the symposium and plenty to do in this summer of our 75th anniversary as a society.